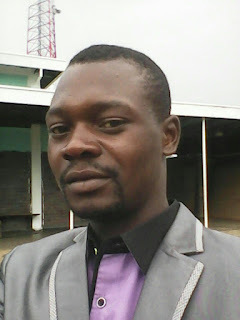 A Masvingo-based author, Ngoni Shuro has attributed his success partly to social media, praising the new technology for making him realise his dream and talent. The author cites WhatsApp which he says has helped him popularise his literature. Shoko told TellZim News that he has made inroads into the local audience market through his WhatsApp group 'Ndozviudza Ani', which is named after his yet to be published book. "I have always had a dream of publishing and have my work read so as to make a positive impact in society. Currently, I have managed to gain some attention among local prose lovers by sharing snippets of my book on my WhatsApp group. "I haven't yet exploited the full potential of social media but it has gotten me far. A lot of people reach out to me at personal level asking when I am publishing. This shows that my work is already being recognised before it is even formally published," Shuro said. "As an unemployed youth, one major challenge I am facing is lack of money to have my work published but I believe I am about to unlock my fullest potential. As an artist, I also plead with the public to reject pirated work from the streets since it does not benefit the person who produces the original work. "Society should just put themselves in the shoes of publishers and imagine how they would feel if their hard work was being stolen for somebody else's benefit," Shuro said.